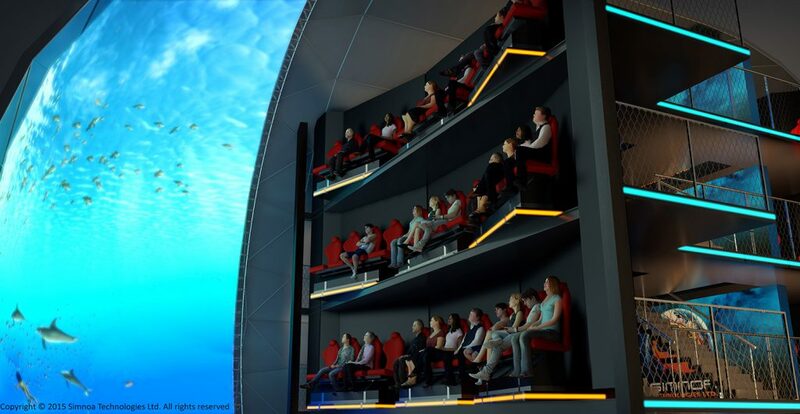 Simnoa’s patent pending SkyRide – Flying Theater is an elevated immersive viewing mechanism housing 16 to 128 full motion effect seats. Rows are stacked vertically in front of a half dome screen equipped with an advanced surround sound system, custom-made motion effect seats and multi-dimensional effects including wind, scents and motion. 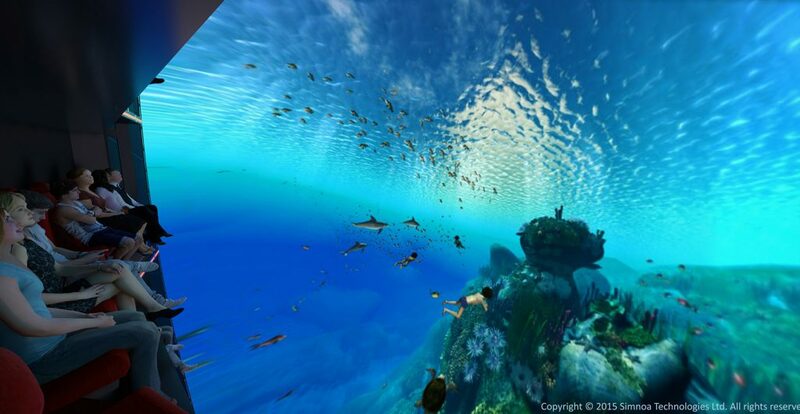 This gives every viewer an elevated front-seat view for a fully immersive and exciting experience. 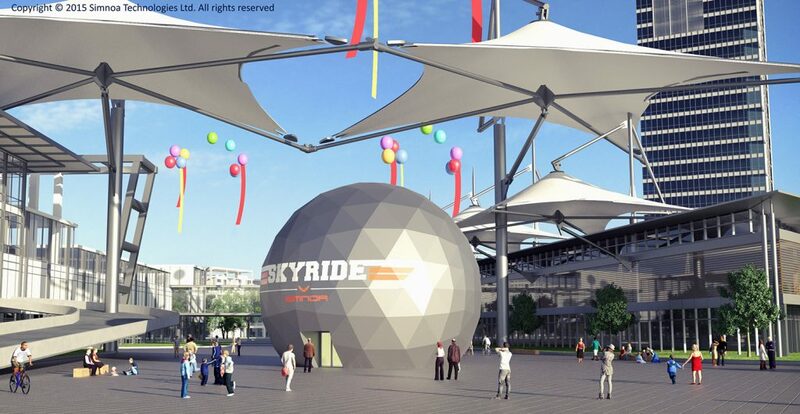 Our SkyRide – Flying Theater pods can be customized to suit a variety of needs and can be easily and cost-effectively set up at visitor centers, touristic fixed locations, museums and more.